In this lesson, we will learn how to solve arithmetic operations and real-world problems involving multiplying two positive two-digit numbers without using calculators. A primary school has 64 classes with 58 students in each class. Calculate the total number of students. Round your answer to the nearest hundred. 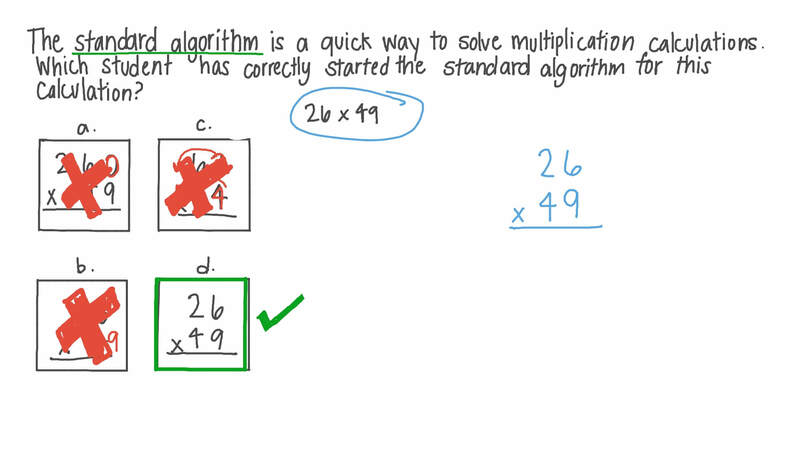 The standard algorithm is a quick way to solve multiplication calculations. 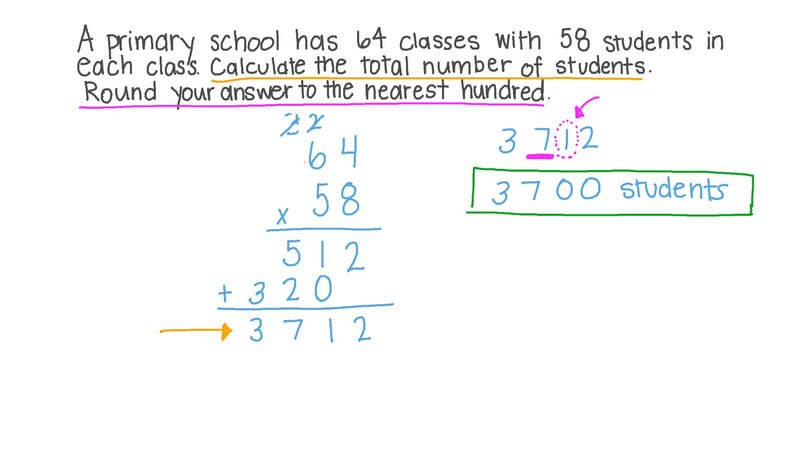 Which student has correctly started the standard algorithm for 2 6 × 4 9 . Write the missing digits to complete the standard algorithm.